The drama and intensity was in the air at Dodger Stadium this weekend, as the Dodgers and the St. Louis Cardinals renewed one of baseball’s most classic rivalries. The Cardinals started the series 1.0 game up on the Dodgers for the second Wildcard spot, and things remain that way, after the two teams split the four games. After scoring eight runs on Friday night, their most runs in more than two weeks, and the first time they scored more than three in little over a week; the Dodgers enjoyed perhaps their most emotional and thrilling victory of the year, a 4-3 walk off. The two teams would return Sunday to hold each other in check until St. Louis took control in the 12th inning. Although the Dodgers maintained their place in the standings this weekend, they also received some of the worst news possible. Clayton Kershaw‘s season could be over because of a bothersome hip. Luis Cruz continued his unlikely heroics, Hanley Ramirez hit safely in all four games of the series, and Adrian Gonzalez continued to drive in runs with the Dodgers. However, A.J. Ellis simply could not get anything going against the Cardinals. Cruz was 3-for-16 in the series, belting his 5th home run of the season on Friday night off of Cardinals reliever Edward Mujica, on the first pitch of the at-bat. Cruz’s homer would give the Dodgers a 7-4 lead. He would then deliver the game-tying RBI double in the 9th inning of Saturday’s 4-3 walk-off win, giving him a total of five runs total in the series. Ramirez went 5-for-16 with a double and a run scored in the series. Gonzalez went 4-for-16 with two doubles and three RBI in the series. Mark Ellis hit safely in the three games he started at second base going 3-for-13 including his 6th home run of the year on Saturday. A.J. Ellis was scuffling, going 0-for-10 before finally getting a day of rest on Sunday. A.J. came up to pinch hit and struck out. A.J. is hit-less in his last six games and has seen his batting average drop from .281 to .270 in the span of a week. Andre Ethier is swinging a hot bat and playing like an All-Star. Matt Kemp is currently mired in his biggest slump of the year, and puzzling fans as to whether it is still the side effects of crashing into the outfield wall in Colorado, or pressing, and trying to do much; whatever the case, Kemp looks lost at the plate. Shane Victorino isn’t doing too much either. Ethier joined Hanley Ramirez as the only two Dodgers to hit safely in all four games of the series, going 7-for-16 with two homers (his 18th and 19th of the year), four RBI, and three runs scored in the series. Andre has hit safely in 6 of his last 7 games, and he has 5 homers and 8 RBI in the month of September. Matt Kemp went only 2-for-17 in the series, securing a double on Sunday afternoon. In contrast to Ethier, Kemp’s two hits in the series represent a third of his production for the month. Kemp is only 6-for-49 (.122) in September with only 2 RBI, none in the past week. Despite all the new additions to the team, Matt Kemp is the team leader and MVP, and the Dodgers’ heart and soul. The Dodgers need Matt Kemp to be successful in order to make a playoff push, plain and simple. Shane Victorino started the series 2-for-7 with a pair of runs scored in the first two games, before tanking and going 0-for-9 in the final two. That includes 0-for-6 in Sunday’s 12 inning affair. Victorino is not doing much better than Kemp going only 11-for-53 (.208) so far in September. With Chad Billingsley already out for the year, and a strong possibility that Clayton Kershaw will be joining him, the Dodgers will need all they can from their starters in order to make the playoffs. If this series was any indicator, Dodger fans can’t be too excited. Josh Beckett and Stephen Fife pitched the best for the Dodgers against the Cardinals. Chris Capuano was victimized by the long-ball, and Joe Blanton pitched into the 6th and gave up three runs, about expected for Blanton at this point. Beckett pitched 5.1 innings of one-run ball striking out six and walking two, but a lack of run support and Beckett’s start didn’t hold up. Chris Capuano gave up three home runs in only 4.1 innings of work Friday night, but was bailed out by the Dodgers’ offense. Joe Blanton pitched 5.2 innings and gave up three runs, and left the game trailing, but like Capuano, would be spared the loss thanks to the Dodgers’ late heroics. Stephen Fife, filling in for Kershaw on Sunday, actually pitched effectively, holding the Cardinals to two runs in five innings, and striking out 9 batters while walking only one. If Kershaw is done for the year, the Dodgers will need more starts like that from Fife. With no Dodgers’ starter lasting more than 6.0 innings, the bullpen got their work in this weekend. However, with the expanded September rosters, Dodgers skipper Don Mattingly has far more options later in games. Paco Rodriguez, the only player drafted this year to make it up to the majors, was the goat Thursday night. He closed out the sixth inning for Josh Beckett, only to immediately allow two base runners in the 7th, one of whom would score to give St. Louis a 2-1 lead that would hold up. The ‘pen was brilliant from there on out, up until John Ely imploded in the 12th inning of Sunday’s loss. The Dodgers’ got 3.2 scoreless innings of relief from Matt Guerrier, Shawn Tolleson, Randy Choate, and Jamey Wright Friday night. Tolleson would collect his second win of the year. The Dodgers bullpen tossed another 3.1 scoreless on Saturday. Ronald Belisario was the benefactor of the Dodgers’ late offense racking up his sixth win of the year to go 6-1. Seven Dodgers’ relievers combined for six scoreless innings on Sunday afternoon before the 12th inning. Ely surrendered three runs while recording only two outs. He walked a batter, struck out a batter, gave up a go-ahead RBI double to Jon Jay, intentionally walked another batter, hit a batter, gave up another RBI single, then issued a bases-loaded walk before finally being relieved by Josh Wall. Ely was the Dodgers Triple-A Pitcher of the Year, but he has given up six runs in 2.2 innings of big league work this season, and has taken the loss in both his appearances. After maintaining their place in the standings, the Dodgers will hit the road for a six-game road trip against two first place teams, that could ultimately decide the season. 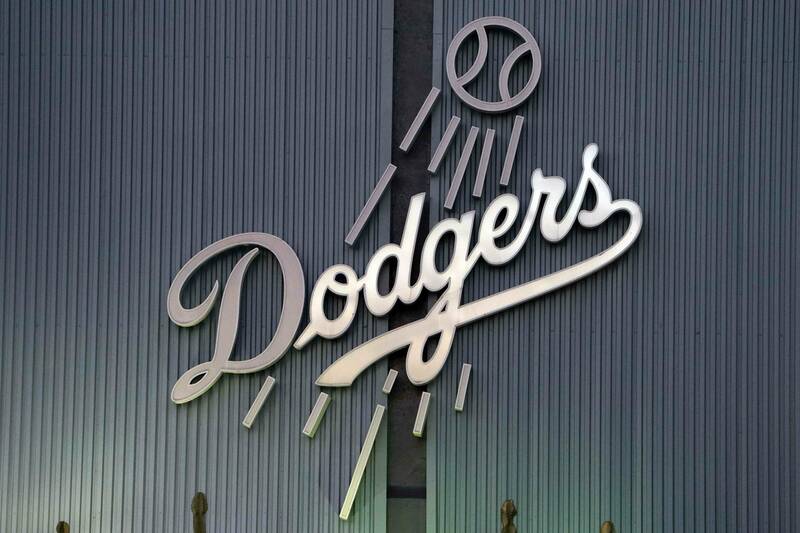 The Dodgers will start a three-game series on with the NL East leading Washington Nationals on Tuesday. The Nats just happen to have the best record in baseball. However, they are coming off of a three-game sweep at the hands of the Atlanta Braves. How the Dodgers respond in this next week will likely determine whether or not they make the playoffs.